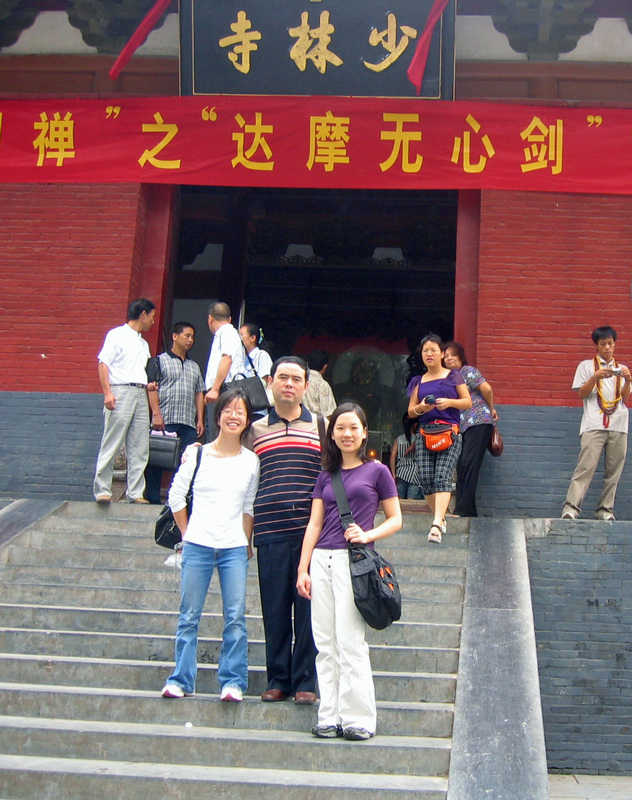 On the day after our arrival in Dengfeng, we visited the Shaolin Temple, courtesy of Mayor B with Dr. X as our guide. Despite the warnings I had, I still retained mental images of strolling through vast, dusty courtyards with the sound of monks training floating from the distance. What we found was thronging crowds of tourists from all over the world cluttering every nook and corner of the Shaolin Temple such that it was nearly impossible to take a single picture without catching some tourist in your picture. Of course, we took the obligatory tourist picture with Dr. X at the entrance. As part of our project, we originally planned to study with the Shaolin monks to understand Shaolin medicine in addition to the more mainstream traditional Chinese medicine. We hoped Dr. X would be able to arrange for us to meet with some of the Shaolin medicine practitioners, as he was the Abbot’s personal physician. When we actually visited the Shaolin Temple, however, the extreme commercialism of the place and just how much we were like any other tourist provided the first hints that things may not go as we had envisioned. 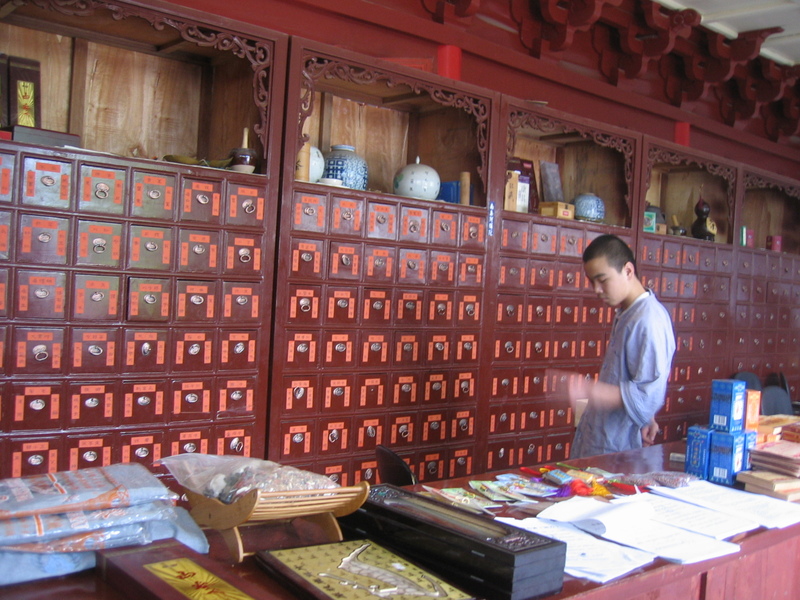 As one of the first stops on our tour, we went to the Shaolin pharmacy, where Chinese herbs were stored in cabinets and weighed out by monks in training. And they had this cool looking dude with meridians and acupoints marked on him, a standard of TCM dummy models. We also saw a clinic where some monks were lying down for some acupuncture treatment. Unfortunately, Dr. X could not arrange for us to meet with the necessary people, and he did not really explain why. Nan and I were doubtless disappointed, but we slowly understood that there were many complicated reasons behind this, including the ambiguous relationship between the Dengfeng government and the Shaolin Temple. So… goal number one shot down, but our little brains were already churning out alternatives at this point. Now, our guide Dr. X had a little bit of history with the Shaolin Temple. 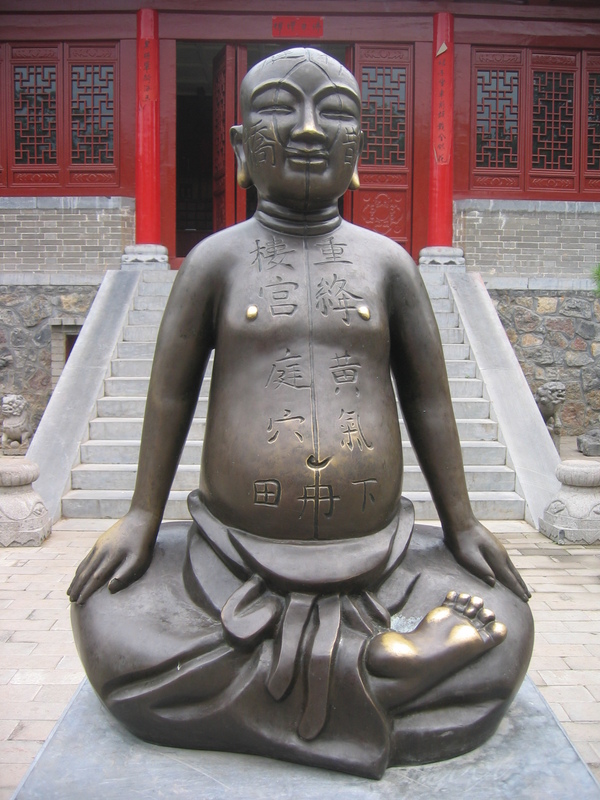 Like many young men raised in Dengfeng, he trained at the Shaolin Temple as a youth. Not only is he the personal doctor of the Shaolin Abbott, he has also worked in the Shaolin Pharmacy before. Dr. X explained a bit of the recent history of the Shaolin Temple and Shaolin medicine. In ancient times, the Shaolin monks trained in medicine because 1) they trained in combat wushu and needed to know how to treat wounds and 2) as Buddhists, they believed in the spirit of helping others and thus provided medical services to others. However, in the lost years of the Cultural Revolution, almost all of the monks were forced to return to their homes, and only a couple of monks remained at the temple. When Deng Xiaoping reopened the Shaolin Temple, not all the monks returned, and those who did tried to pass down their knowledge by mouth to the incoming generation. When Dr. X used to work at the Shaolin Temple, he worked with some of the old monks to compile and organize their medical knowledge. Right now, the Shaolin Temple is still in the process of organizing past knowledge. In terms of practitioners of Shaolin medicine, there are people in the Shaolin pharmacy that opened a few years ago, but they often only stay for a year or so, and their knowledge is not complete. So, even if we had gotten access to the Shaolin Temple, it is dubious what depth we would have been able to achieve. Looking back on this, I regret that we didn’t get a chance to talk to some of the monks that were working there and to bother Dr. X more about why we couldn’t get contact to the monks. I think finding out the relationship between Shaolin Temples and the city would have been interesting, but it was unrelated. All-in-all, the Shaolin Temples provided an interesting first look into TCM, albeit a very commercialized version of one.